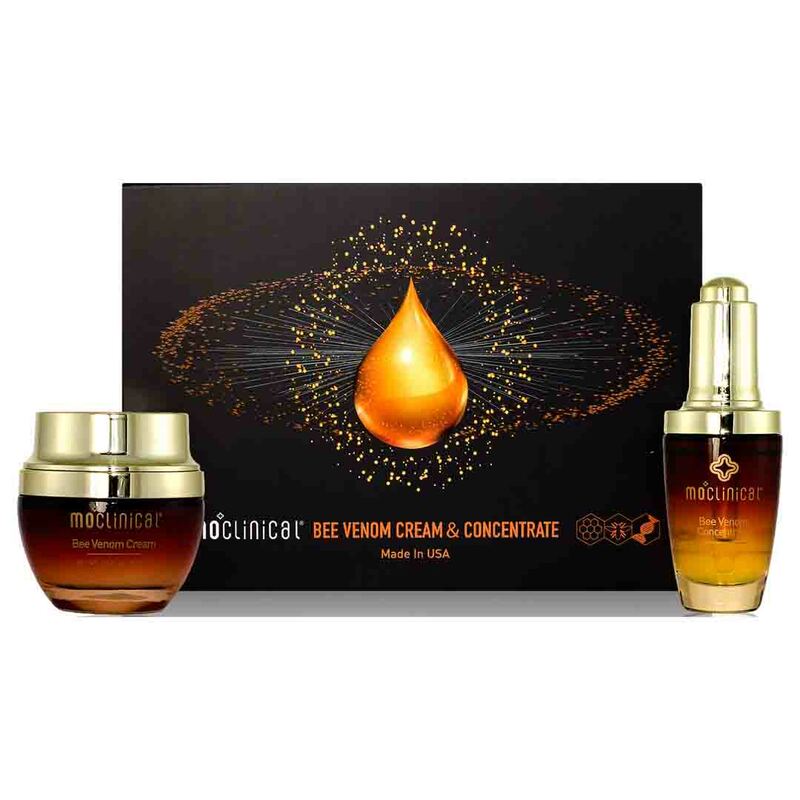 Bee Venom Gift Box includes Bee Venom Concentrate and Bee Vemon Cream. Bee Venom Concentrate refines and conditions your skin to achieve a more even texture and transparency. Its key ingredients help even out skin tone and increase luminosity, resulting in a translucent and radiant glow. Bee Venom Cream hydrates and moisturizes the skin. It helps reduce fine lines and wrinkles. It contains a high concentration of hyaluronic acid, which is a natural moisturizer with excellent water-binding capabilities, to ensure skin cells are hydrated and moisturized. Bee Venom Concentrate refines and conditions your skin to achieve a more even texture and transparency. Its key ingredients help even out skin tone and increase luminosity, resulting in a translucent and radiant glow. Combines the most effective lightening ingredient , and advanced skincare technologies, Liposome into one potent solution that effectively diminishes the appearance of skin discolorations and hyper-pigmentation. Enriched with Gigawhite , it helps rejuvenate skin cells and increase metabolism. This unique beauty brightener is designed to re-energize skin tone, increase luminosity and radiance, and balance overall skin color. Bee Venom Concentrate with a micro-delivery system that is most effectively absorbed & metabolized by your skin. 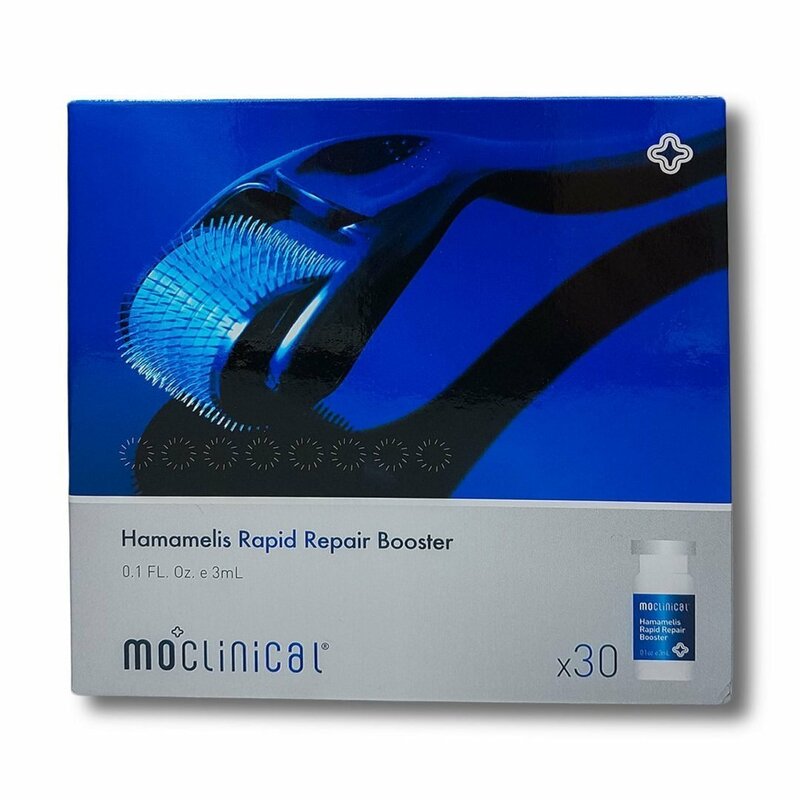 In addition, it hunts for and destroys free radicals that cause the visible signs aging. 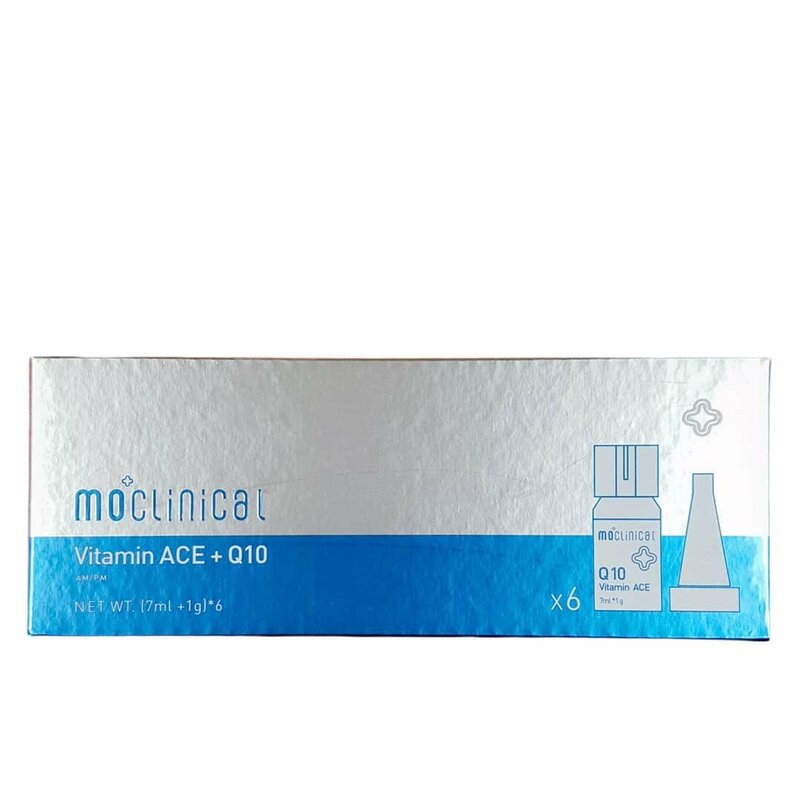 Even leadings scientists highly recommend adding Vitamin C to your daily skin care routine to fight against UV-induced cell damage, which can cause premature aging and skin cancer. Bee Venom Concentrate designed to brighten and even out skin tone while clearing the skin of sun spots. It restores melanin, and eliminates dullness and inflammation, while giving it luster and radiance. Bee Venom Cream hydrates and moisturizes the skin. It helps reduce fine lines and wrinkles. 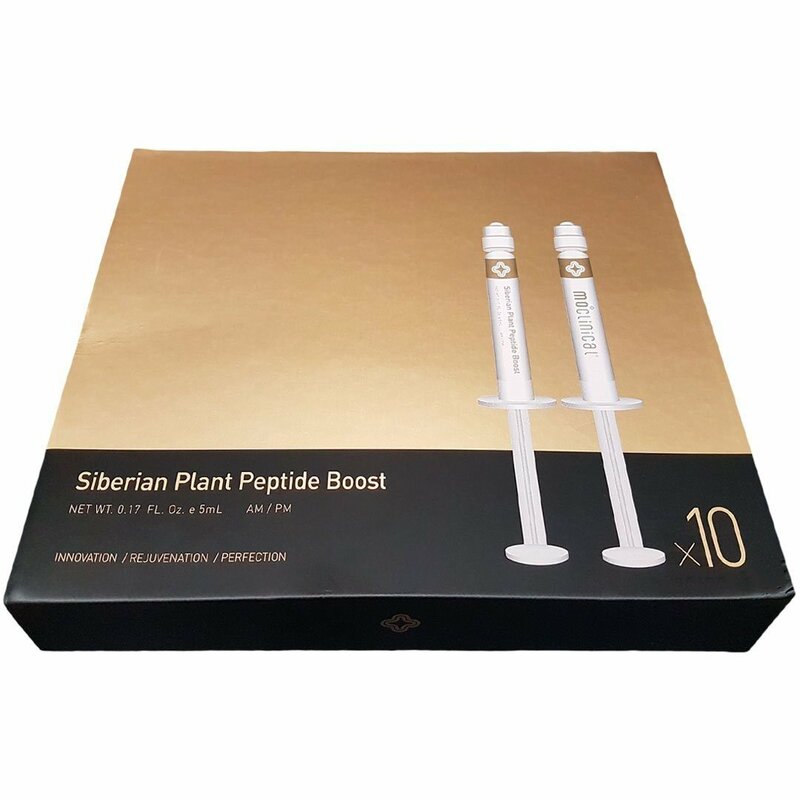 It contains a high concentration of hyaluronic acid, which is a natural moisturizer with excellent water-binding capabilities, to ensure skin cells are hydrated and moisturized. 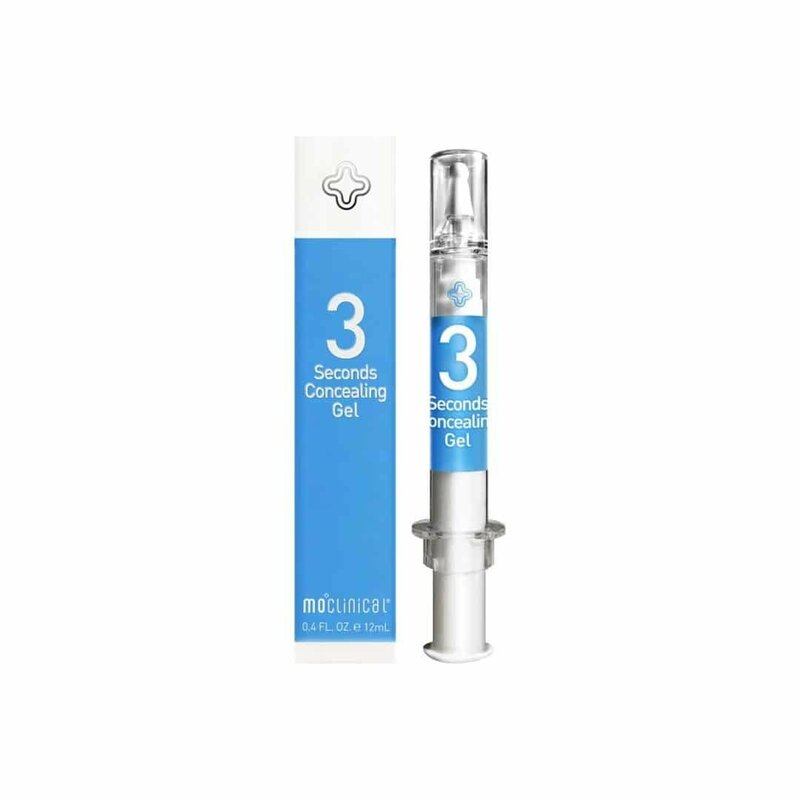 The key ingredient, Beta Glucan, soothes and calms sensitive skin and quickly relieves redness and discomfort. Bee Venom Cream is formulated with natural ingredients and is paraben free. It is gentle and safe, and can be used daily. This lightweight lotion provides long-lasting hydration and moisturize that is essential for damaged and sensitive skin. 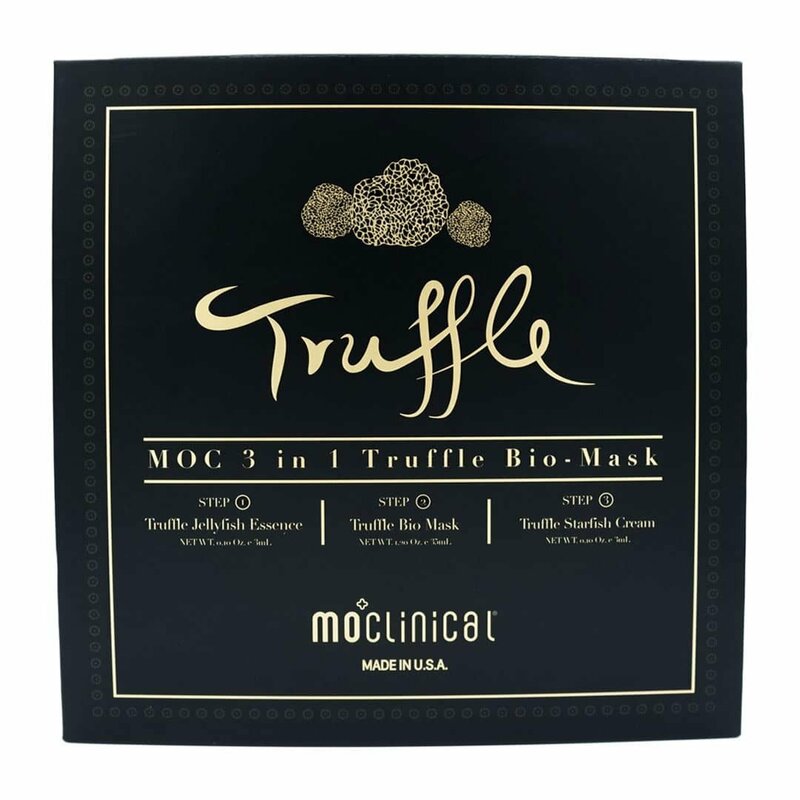 With MO CLINICAL exclusive powerful antioxidants and hydrating formula, this Cream helps shield your skin from free radicals, improving firmness and elasticity. 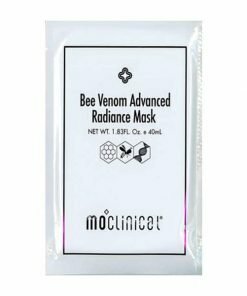 Bee Venom Concentrate Use twice a day, after cleansing and toning. Apply a moderate amount (2-3 pumps) to clean fingertips and gently massage onto the skin until fully absorbed, avoiding the eye area. Follow up with Bee Venom Cream. Bee Venom Cream After conditioning your skin with toner, apply a moderate amount to clean fingertips and gently massage onto the skin until fully absorbed, avoiding the eye area. Apply twice daily to face, neck, and décolletage after cleansing and toning. Follow up before with Bee Venom Concentrate.